These last few days I spent my new free time with all the small and simple things that make life so lovely: sleep, a good book, donuts, late night walks, thoughts about science-unrelated things and one or two hours of Sims3 (I swear that's the only addiction I have!!!). 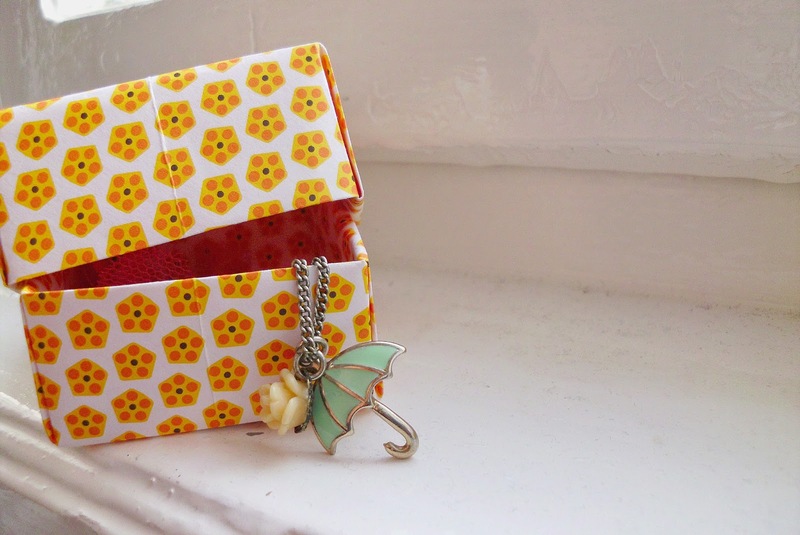 I also started crafting again, as promised, and made these cute little Origami boxes this morning. They are so simple and so adorable I made whole bunch. Because... there's always use for tiny boxes, right? They are the perfect little gift boxes or jewelry storage or they could hold small things on your desk or smaller craft supplies. Or just use them to decorate your room, just because they're so darn cute! 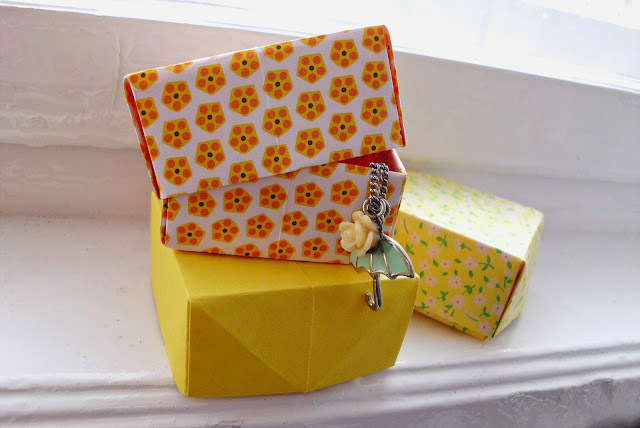 Supplies: 2 sheets Origami paper (6''x6'' gives a 2''x2''x1'' box). Scissors, ruler and pencil. 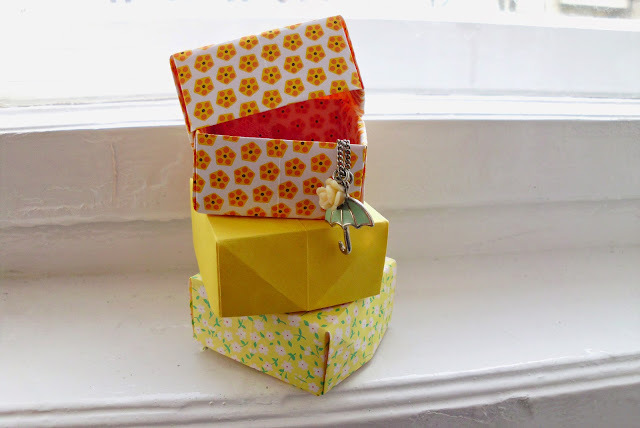 And just because I had so much fun making them and also because I found it difficult to explain the steps how to fold such a box, I made a little gif for you! It shows how to fold one part of the box. For the second half, cut of 1/4 inch on two edges of the paper making a 5,75''x5,75'' square. This helps you to put both parts together in the end without getting wrinkles or dents. Cut of 1/4 inch and they fit together just perfectly. If you can't follow my gif because it's too fast or too complicated or too bad, I recommend this page. It's also only an animation, but you can stop it or speed it up or slow it down. Anyways, I hope you have just as much fun as I had making these.